Public Ad Campaign by Peru Ana Ana Peru. The bizarre, information pills colourful creations of Peru Ana Ana Peru can be found all over the streets of New York, information pills brightening up the city’s darkest corners and entertaining passers by. 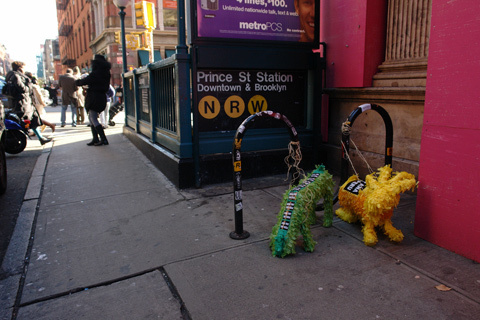 In their own words, pilule they leave 'keepsakes around the city for others to find.' They produce fine art, which can be seen as an extension of their street work, and they also make films. Peru Ana Ana Peru are bursting with creativity and their artistic output tends to be eye-catching, witty and brilliant. I caught up with them last month to reminisce about their visit to the UK, and find out what they had been up to since then.